For years, I have had a recurring dream, where my husband and I are on the path to Machu Picchu. In each dream, just as we’re about to approach the sanctuary, something blocks our way or veers us in another direction. The first time, we could see Machu Picchu, but there was no pathway. The second time, the road ended up winding its way into another destination. The third time, the trail was blocked by fallen boulders, and we were forced to take another path. In each and every one of these instances, I knew that my dreamscape was showing me that before making our way to Machu Picchu, there were other steps and places that needed to be reached first. The last time I had the Machu Picchu dream where a number of boulders fell completely blocking the trail, a fork in the road appeared leading us down another pathway. The path was beautiful, and took us through green, gentle rolling hills. The dream flashed forward to the summer solstice, my birthday, where I watched the sunrise through the Grange Stone Circle of Lough Gur. I watched the sun awaken the stones where the light energy connected to all the other ancient stone circles on Earth that are also aligned with the summer solstice. One fed the other, and they were all connected. We were then brought to the most important of all the surviving megalithic stone structures, Machu Picchu, only this time, nothing was standing in our way. Waking up from this dream just a few weeks before we were heading to Ireland, I knew what this dream was symbolic for. Despite having talked about going to Peru for years, life, and all that comes along with it, got in the way. Between our move from New York to Miami, visiting family in Sri Lanka and Thailand, getting married in Mexico… our very limited vacation days were completely burned out, every year, for the past 5 years. When we learned that my husband’s company needed him in Dublin, and my office would allow me to join him for a week, although this was another road block to Machu Picchu, it felt as though we were being guided to exactly where we needed to be. As my husband would be working full-time, and I would be on holiday, I began researching Ancient Ireland and the sites I would visit. Stumbling across the legend that the origins of the Irish and Scottish people derives from the Pharaonic lineage of an Egyptian princess named Scota, who was exiled from Ancient Egypt during the exodus of Moses, I also learned that Ireland was home to a number of stone circles and megalithic sites that all line up with the solstices and equinoxes. A land enriched with myths and magic, I couldn’t be more excited to embark on this journey. 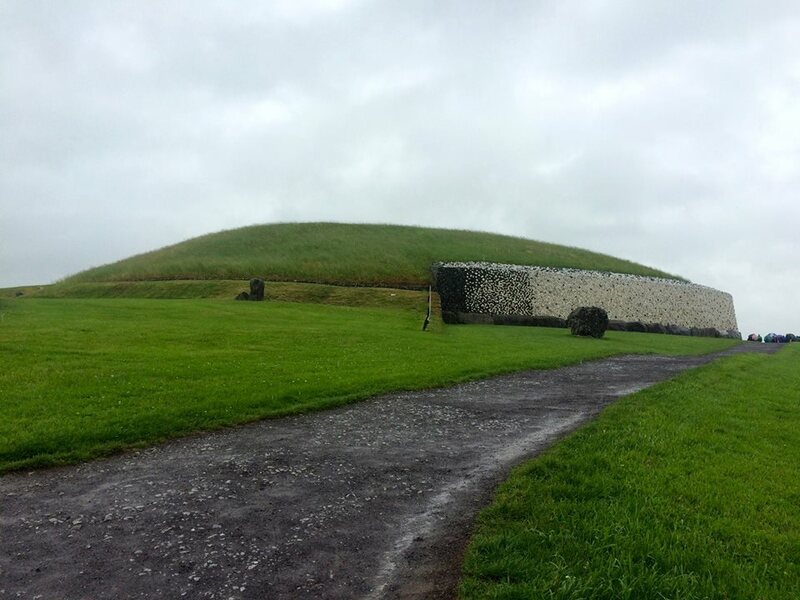 The first stop on our list was Newgrange. 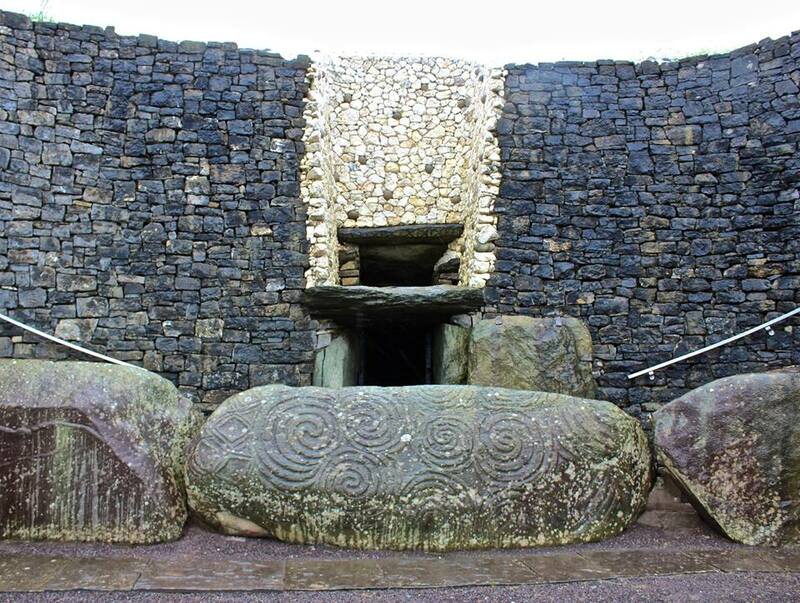 Older than Stonehenge and the pyramids of Giza, Newgrange is a 5,200-year-old circular temple mound/passage tomb. This particular temple, which as been featured on the television series Ancient Aliens, is best known for its inner chamber being illuminated by the sunrise of the Winter Solstice sun, marking the beginning of the new year. The conscientious positioning of this remarkable temple clearly suggests that the people who built this site respected our great Mother Earth and held advanced knowledge of construction, astrology, and spirituality, that we are still unable to fully comprehend. What we do know is that the Winter Solstice marks the shortest day/longest night of the year, and is a turning point signifying the rebirth of the sun and the return of light. It is from darkness that inspiration, strength, and life eventually emerge, and it is in darkness that our inner light becomes lit. Upon entering this site a wave of euphoria and love filled my heart and I burst into tears. For people who are sensitive to cosmic energies, this is without question a power spot. My spiritual moment, however, was interrupted as we learned you aren’t allowed to go into the temple directly from the road- you have to join a tour group that begins at the Boyne Valley Visitor Center. We were finally allowed entry into the temple about 2 hours later, and it was worth the wait, even in the cold slashing rain. Megalithic rocks surround the main circular temple, where each rock was strategically placed, ceremoniously, to harness the energy of the heavens here on Earth. The energy was incredible. The second place I visited on the eve of the Summer Solstice, was completely off the beaten path and is by far Ireland’s best kept archaeological secret, the Cairns of Loughcrew. 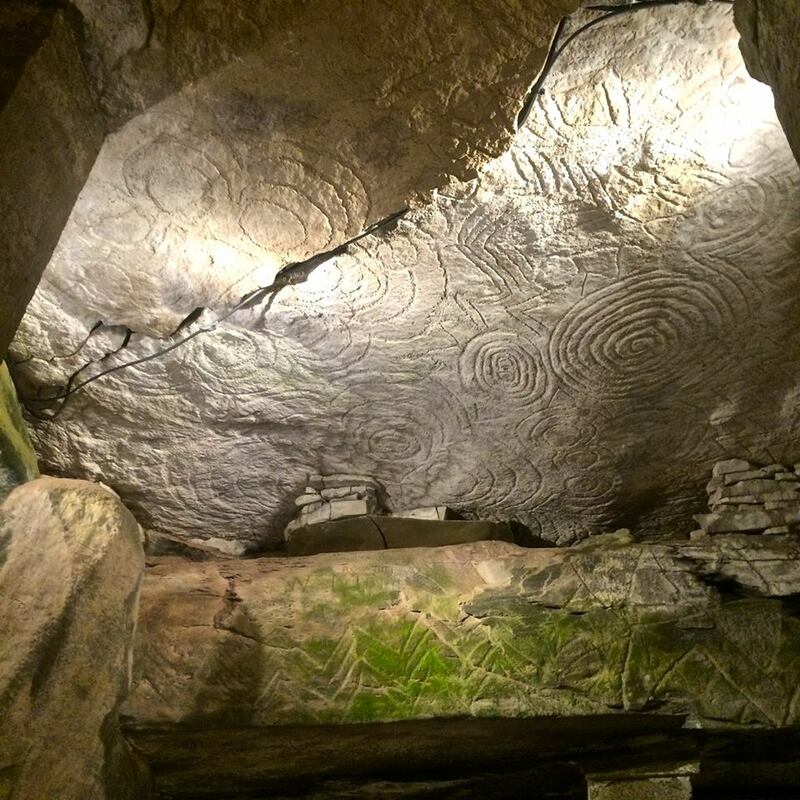 Dating back to 4,000 b.c., the Irish name for this site is Sliabh na Caillí, which translates to “The Hag’s Mountain”. Legend has it that the cairns were created when a giant hag (wise woman), dropped her cargo of large stones from her apron as she was jumping from hill to hill. On her way to jumping on the fourth hill she fell and died from her fall. Local legends state that if you sit on her chair and make a wish it will come true, and if you walk around the main cairn three times while making a wish, it will also come true. 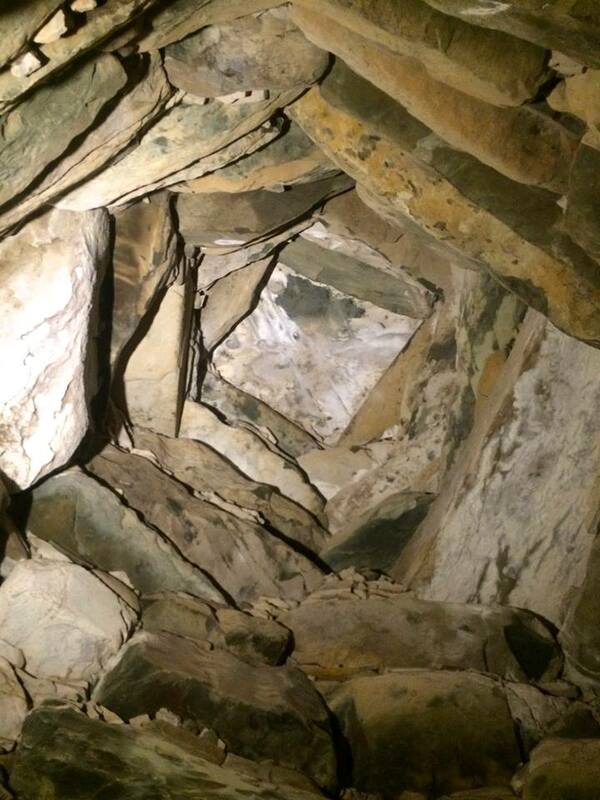 About an hour and a half outside of Dublin, to access this site, you have to go to the Loughcrew Gardens Coffee shop, and request the keys to the cairns. After a short drive and 2 km hike up the soft rolling hills, you are transported to a temple mound/passage tomb where there are megalithic stone structures intentionally placed in such a way that harnesses the sacred energy of the heavens so they can be felt down here on Earth. 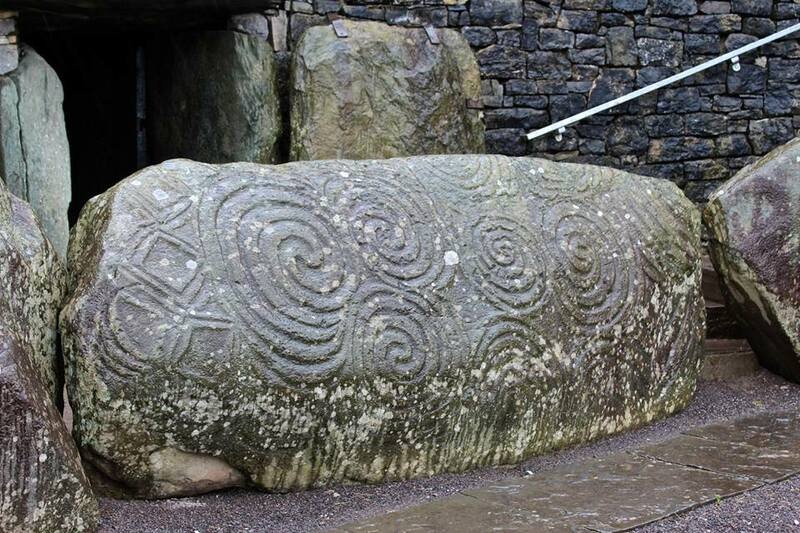 The main central cairn is aligned with the Spring and Autumn Equinoxes, where just like at Newgrange, the inner chambers with astrological carvings are illuminated by the rising sun of the Equinox. Another place of awesome energy (I burst into tears again), one can immediately feel that this is a sacred space, where many incantations, rituals, and offerings have taken place over the centuries. There were no tourists, nor large groups, so I was able to experience this magical sacred site all by myself. I never made it to the Grange stone circle in Lough Gur for my birthday. It was 4 hours away from Dublin and a very expensive journey to do in just one day. Laying on the grass next to the ruins of Loughcrew, I felt so much comfort and love within my heart. I felt that since my dream was so vivid and clear, it was almost as if I had already been to the stone circle and that I didn’t feel the need to put myself nor my elderly driver friend through the 8 hour journey. I knew my husband’s company would send us back to Ireland in a year, so I figured I could visit the stone circle for my birthday then… But very often it’s only in time, looking back, that we are granted the perspective to fully understand what our dreams were trying to tell us. It’s been 9 months and I have come to regret this decision, as we’re returning to Ireland, but not for the Summer Solstice. Fully understanding that the future is never guaranteed and the now is all we have, it is so important to answer your hearts call, at the time of its call, as the opportunity to experience something truly magical may come and yet pass. We might not understand why we are being called. We will for certain be perceived as crazy for answering the call, but there is a reason for everything. Thoughtful, beautiful reflections. And most interesting information on these spiritual sites in Ireland. You will return many times, I think!